For a few years now cashback marketing has steadily been gaining popularity among consumers looking for savings, typically on higher priced items but more and more on everyday purchases too. 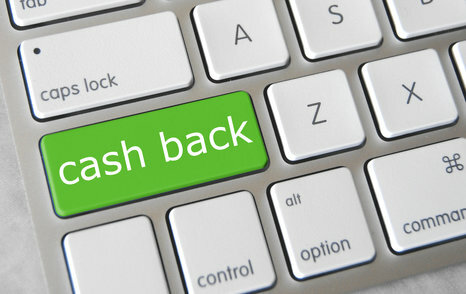 Cash back is an easy way to attract more customers and business owners. However, to leverage this marketing tactic, it must be implemented properly. The way it works is simple. The consumer simply signs up to a site like those within Maple Syrup Media’s portfolio and then, whenever they buy any goods or services from participating retailers or other businesses, they receive a percentage of the purchase price back. Essentially, it’s a retrospective discount and differs from other well-known voucher sites which offer up-front savings on the purchase price. Technology and marketing are merging in the current digital age. This means that traditional marketing methods are not quite as effective as they once were. This is true no matter whether you are selling toys or office items. This has led to an increase in companies trying to adapt marketing methods to reach audiences across a wide variety of channels. These channels include mobile, video, social and search. Cashback marketing practices allow businesses to reach all these areas with one technique. This has caused a rise in cashback marketing popularity. You would be wise to consider hopping on the bandwagon for this marketing trend. One of the reasons that cashback marketing has found as much favor with companies is that it effectively fulfills many of the classic, and theoretical, requirements for effectively selling products. These are the requirements that one would learn at any business school while learning how to create a marketing survey. For example, if we take the 7Ps approach, then cashback can be seen to be highly effective in at least four of these areas, namely Product, Price, Promotion and Physical Evidence. The first three, Product, Price and Promotion are obvious. This is because the consumer will at first have been attracted to the product and will probably have done some searching around to find the best price available. With the additional promotion of being guaranteed to get some of the purchase price back, it’s an even more appealing prospect. Physical evidence is then provided to the seller of both the effectiveness of offering cashback as well as the overall appeal of the product. Moving on to another key theory used by marketing department structures of every type and size, cashback also neatly fits in to Porter’s Five Forces Analysis. This looks at the internal and external forces that control the effect that competition has on a product or brand and covers Threat of New Entrants, Threat of Substitutes, Bargaining Power of Buyers and Suppliers and Industry Rivalry. The key threats that cashback marketing addresses are the danger of substitutes and the bargaining power of buyers. In terms of the former, when a consumer is faced by a choice of a retailer from whom they’ve received cashback in the past and one who does not offer this form of saving then it’s likely that they will remain loyal to the company that rewards them for their business. This also has a valuable psychological effect which encourages that same consumer to feel that they have more bargaining power, and even overall power, in the whole exchange. So that’s the theory behind why cashback marketing could be such a powerful tool to throw into the marketing mix – and it’s also surely why so many big name businesses are now putting it into practice no matter what their target customer segmentation.